Frankie Vaughan,real name Frank Fruim Ableson, (1928–1999), popular singer, was born on 3 February 1928 at Liverpool Maternity Hospital, the son of Isaac Ableson, an upholsterer who owned an upholsterer's shop on Lodge Lane and his wife, Leah, née Cossack, was a seamstress. 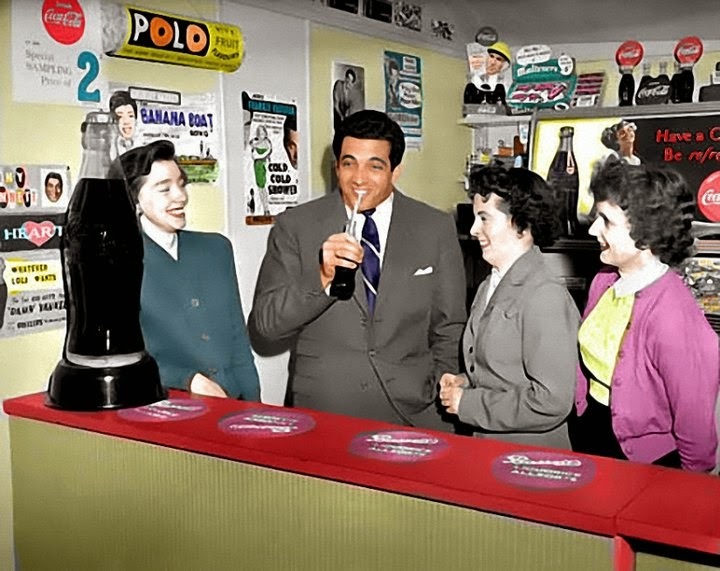 He was the grandson of Russian Jewish immigrants and was later inspired to take the stage name Frankie Vaughan from his maternal grandmother, who referred to him as her ‘number ‘vawn’ grandson. At fourteen he won a scholarship to study at the Lancaster College of Art, and he held a place at Leeds University before being called up to the army towards the end of the Second World War. During his enlistment he sang in a number of camp concerts. Demobbed in 1949, he enrolled at Leeds College of Art as a student teacher. Every year the students presented their own revue at the Empire Theatre, and Frankie, remembering how he had enjoyed his odd spot of singing whilst in the Army, volunteered to take part. So impressed was the manager that it was suggested that he should seek the agent Billy Marsh, who handled newcomers to show business. He sought out Marsh, who was impressed by his voice and booked him for the circuit of northern variety theatres. Vaughan had arrived, and after his first year of touring was earning £150 per week. 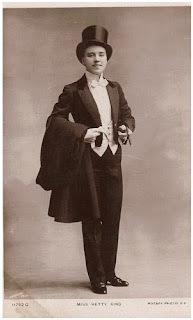 While appearing in her show New Stars and Old Favourites, Vaughan met the female music-hall star and male impersonator Hetty King. 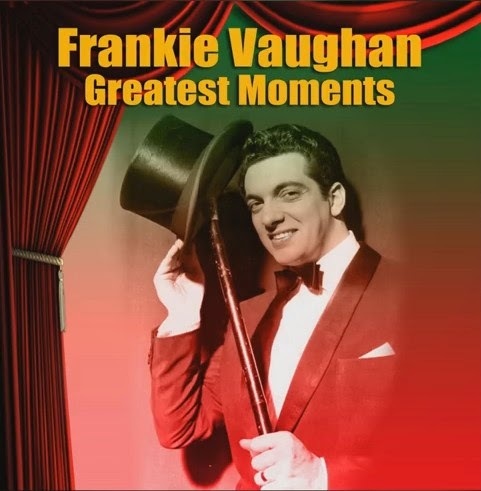 The encounter would change Vaughan's style for the rest of his career, beginning with the single old-style top-hat-and-tails high-kicking number as a kind of encore and finally virtually taking over his entire act. King also advised him to find a signature tune, and Vaughan found it in the number ‘Give me the Moonlight’ (written in 1917), which he made his own. He became known as ‘Mr Moonlight’, and would deliver his trademark song in a relaxed manner, often accompanied with an athletic high kick which delighted his audiences. However, it was not only Vaughan's performing style which marked him out as a major star in the 1950s. His voice was noted for its Liverpudlian twang, his chuckle (to tie in with his high kick), and the hint it gave of his Jewish origins. Like his idol the Jewish-American singer and entertainer Al Jolson, Vaughan had sung in the choir of his local synagogue. 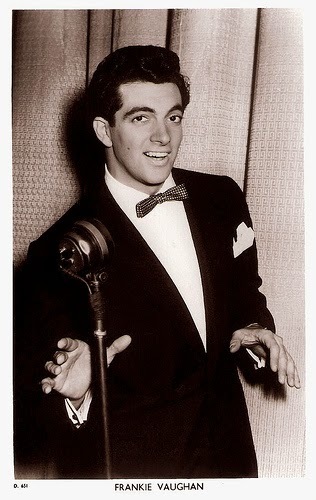 Frankie Vaughan entered the recording side of show business in 1950, singing "The Old Piano Roll Blues" for Decca, a cover version of the hit recording by Hoagy Carmichael, Al Jolson and the Andrews Sisters. Many other hits would follow once he had switched to HMV. First came "Look at That Girl" (1953) with Ken Mackintosh and his orchestra. This was a cover for Guy Mitchell, top man of his time. Later there were "The Cuff of My Shirt" (1954) with the Kordites, "Happy Days and Lonely Nights" (1955), the extraordinary "Green Door" (1956), later recorded by Shakin Stevens. "The Garden of Eden" (1957) and "Kisses Sweeter Than Wine" (1958). Alongside his chart success, Vaughan began a film career which culminated with a trip to Hollywood to appear in a supporting role with Marilyn Monroe and Yves Montand in the film Let's Make Love (1960). However, he took an instant dislike to Hollywood and the film was not a success. He did, however, perform for several seasons in Las Vegas during the 1950s and 1960s. Despite the significant changes which took place in popular music during the 1960s and 1970s, Vaughan retained his star status. He continued his recording career and headlined at the London Palladium and at numerous summer shows at the Talk of the Town, which attracted family audiences. He also received greater exposure on television and appeared in Britain on Sunday Night at the Palladium and in America on The Ed Sullivan Show. In 1985 Vaughan successfully took over the lead in the West End musical 42nd Street. This role proved to be his swansong, as he was forced to leave the cast after a year when he contracted peritonitis and almost died. He was dogged by ill health for the rest of his life. He was forced to have surgery after rupturing an artery in 1992 and underwent heart surgery in his final years. 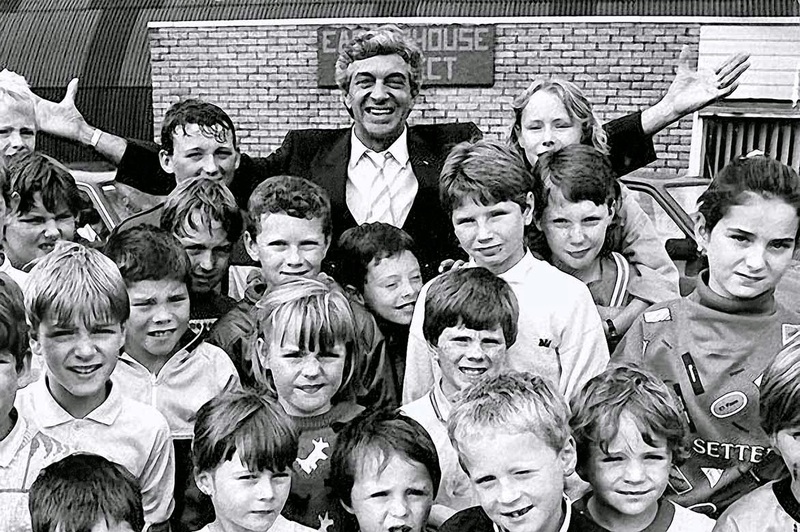 Vaughan was renowned for his charity work, and he received several honours (including appointment as OBE in 1965 and CBE in 1997) for his support of the British Boys' Clubs Association: he had once been a member of one such club, and had donated the royalties of ‘Green door’ to the cause. 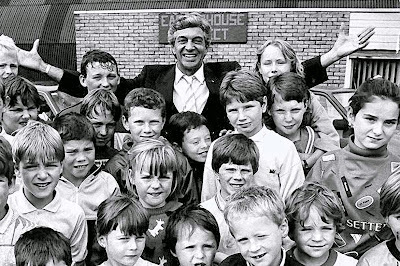 In 1964 the entertainer got involved with a youth project in Easterhouse in Glasgow, he was so appalled by violence levels that he held meetings with gang leaders and appealed for people to surrender their weapons. Frankie Vaughan died on 17 September 1999 at the Churchill Hospital, Oxford. He was buried at Bushey Jewish cemetery, Hertfordshire. He was survived by his wife, Stella, and two sons and a daughter. He had remained a popular and versatile entertainer throughout his career, and received plaudits from his peers, who described him as a ‘loveable and regular guy’ who had achieved the affection of the British public.